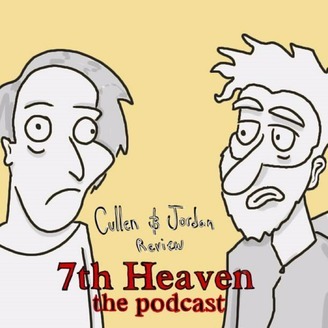 Cullen and Jordan review 7th Heaven: The Podcast is a podcast wherein Cullen and Jordan review 7th heaven: the podcast. Wait, what? Neither of these boys have seen an episode of 7th heaven in their lives. Why do they watch it? They're not sure. Most likely, it's because Cullen is in Canada and Jordan is in Washington and they need to talk about something. 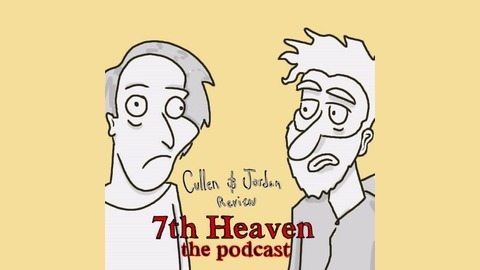 Contact: seventhheavenpodcast@gmail.com. Yikes. There's a hate crime in Camdentown. Sounds like a fiery, topical episode subject, right? Well, it's not. In this episode we review perhaps the least interesting exploration of Racism that has ever been made. And get bored of it halfway through. Cullen drinks bleach. Anyway, here it is. I just don't know anymore. Sometimes it feels like we're just fulfilling some greater obligation here, like we've stopped reviewing 7th heaven based on our own volition and some otherworldly force is compelling us to. Does it feel that way to you? Episode 3: Heroin. Rubber Duckies.